After working intensively with Microsoft over the past 6 months, we are proud to announce that our new healthcare solution, Incident Reporting, has secured a position amongst the top 5 Microsoft key partners in Healthcare. Together, the partners contribute to improving the quality of care - based on the Microsoft Teams Platform. Microsoft Teams gives organizations the ability to digitally transform and enable employees to collaborate via one platform - the partners assist in understanding the needs and tailoring a solution that meets healthcare organizations' requirements. The Incident Reporting solution helps healthcare institutions prioritize, automate, and analyze your current incident reporting process. By using Microsoft Teams as a hub for your healthcare team to collaborate and report incidents, they are enabled to help professionalize current processes and improve patient handling. Improving quality of care depends on many things—including overcoming complex care environments and cybersecurity threats. Since Microsoft 365 is built for teamwork, healthcare organizations can increase the effectiveness of their quality improvement processes and coordination of treatment plans, and enable research projects. Our new Health Team Huddle templates for developers extend Microsoft Teams to help drive quality and care outcomes by enabling collaboration with more effective huddle teams. Every day, many times a day, health teams huddle to address patient care issues—tackling quality, safety, and management issues. But many teams rely on outdated modes of communication without an easy way to centralize health team notes, create actionable plans, and visualize patterns of patient symptoms. Critical patient information can fall through the cracks with these antiquated processes. Digitizing the huddle creates a single place to interact as a team. This integrated space for collaboration helps providers be in tune with their patients and improves the quality of care. Measure and visualize impactful best practices across your organization. Identify patient care issues and potential causes. Share ideas with your health team using natural conversations. Reimagining the huddle process is one way that Microsoft 365 can empower health teams to securely work together with intelligent tools and solutions to share ideas and improve quality of care. And this is built on the Microsoft Intelligent Security Graph, which provides built-in security at all levels, leveraging trillions of data signals with machine learning. Microsoft has a long track record of building security and privacy into how we design and develop software. To build a trusted cloud platform for health teams, Microsoft has more than 1,100 internal controls to meet multiple regulatory requirements and industry standards, including HIPAA BAA and FedRamp. Visit blogs.office and partners.office to learn more. LUMC establishes a leadership position among Academic Medical Centers in the Netherlands by fully shifting to Microsoft Cloud The Leids Academic Medical Center (LUMC) has chosen Rapid Circle to be its implementation partner for Office 365. This makes LUMC one of the first hospitals in the Netherlands to fully shift to Office 365. Office 365 will play a central role within the digital workplace for all its employees that will, among others, optimally work within the LUMC’s VDI environment. LUMC has chosen Rapid Circle based on their experience with Office 365, successfully proven approach, vision on successful client usage and its solutions. On top of this, it was important for LUMC that Rapid Circle’s ‘best practices’ can be used for the implementation in general and within LUMC's VDI workplace concept. Rob de Weerd, Manager ICT Operations at LUMC: ‘For us, it was important that the partner could not only deliver a solid design but had also been through different pitfalls. It’s also very important when they know how to make working together a pleasant experience. We see in Rapid Circle a partner that helps us proactively with making a success out of all our planned steps in the field of Office 365 and the Microsoft Cloud. Rapid Circle has proven that they understand what healthcare entails and that they prefer working in small pragmatic steps, with a sharp focus on the future’. More info on how we can help you with Office 365/Microsoft Cloud? Contact us! At Rapid Circle we are always on the lookout for great new partners. This time we are happy to announce we are an official Sharegate partner. Sharegate is a third-party software that allows companies to comprehensively manage migration and administrative reporting tasks for SharePoint, Office 365, and OneDrive for Business. Sharegate has also rapidly become one of the leaders in its industry. As a partner and reseller, we have the in-house knowledge to advise and guide you in the extensive array of features Sharegate offers. Moreover, when applicable, we have the expertise to incorporate the use of Sharegate in your file share or SharePoint migration plans to Office 365. Finally, through our partnership, we are also able to offer discounts up to 25% to any of our customers interested in buying the product. Interested in how we can help you with your migration? Feel free to contact us. The same cloud experts who build our award-winning solutions are now available to our customers as remote team members. Rapid Circle Cloud Builders provides world-class cloud and mobile developers who work remotely within your team to help you meet your project goals. Want to know what they can do for you? Check out the Cloud Builders page here. Learn more about our solutions and the Cloud Builders team, and get your dev project started at no costs. With the popularity and the usage of our internal news app Attini Comms expanding, we figured it was time to bring a new feature into the game for those organizations that have become lean, mean news machines. It is called Shadow Copy and it allows you to copy an article that you found in a random channel to your own channel. This way news can spread even faster. This feature is very useful for organizations with over ten news channels and/or where the creation of news is a decentralized activity. It will help owners of a channel to easily bring in interesting articles from other channels and present them to their own audience. And the readers of those channels of course also benefit, for this will bring more news their way. Since the Shadow Copy feature is quite a big pack of functionalities, it helps if we explain the way it works based on a scenario. So, let’s first meet the stars of our story. First up is Mark, the Attini administrator of Basically A Random Company Inc. (BARC Inc.) who makes sure that all the twenty channels that he administers are kept in tip top shape. Second is Nicole, the Director of the Sales Department and owner of the Sales news channel. Third we have Harold, an employee of BARC Inc.
Let’s say that in the IT channel of BARC Inc. a very interesting article has been published about how to safely connect to Wi-Fi networks at work. The tips and tricks mentioned in the article are very useful to all the colleagues working for the IT Department to setup secure connections. So, Mark has read the article and during a chat at the water cooler tells Nicole and Harold about it. Harold is a real news buff who has already read the article and encourages Nicole to check it out. Nicole knows that a lot of Sales colleagues are working from all different places, so she decides to look up the article in the IT channel. In the top right corner of the article page, a menu is presented based on the permissions of the user looking at the page. Each channel for which you have permission to publish an article will be shown. That means that Mark sees all channels (because he is the Attini Admin), Nicole only sees the Sales Channel (because she has Contribute permissions only for that channel) and Harold doesn’t even see the menu since he owns no channels at all. After reading the article, Nicole decides to copy it to the Sales Channel. During the copy a new article is created within the Sales Channel. However, this is no ordinary article. For one, Nicole cannot edit the content of the article. She wanted to copy the article and that is what she gets, an exact copy. But more important, a relationship is created between the original article (further known as the mother) and the copied article (further known as the child). This relationship is used to update the child article as soon as a change is published in the mother article and to show where the child article originally came from. Showing were the article originally came from is important information. It leads Harold the news buff from the child article to the channel that possibly contains more articles about internet security. And it leads other channel-owners to the mother article from which they can also create a copy for their news channel. This is important because the feature does not allow copying a child article. To put it in family terms, we will allow creating sibling articles but aim to avoid a grandchild or even greatgrandchild article being created. Now that the article is copied, Nicole has brought the tips and tricks about internet security to her audience. With an easy click of a button she has made the Sales colleagues happy. However, we did not forget about Harold our news buff. Because like a true news enthusiasts, Harold has subscribed himself to all the twenty channels that BARC Inc. has. Which means that he gets all the articles from the IT Channel (containing the mother article) and all articles from the Sales Channel (containing the child article). Of course, we filter out the duplicates from every feed so no one sees the same article twice. Mark, Nicole and Harold see the following items in their feeds. Harold only sees one of the Internet Security articles, because the duplicates are filtered out of his feed. In this case the child is filtered out and the mother article is featured in his feed. As long as the reader is subscribed to the channel which holds the mother article, they will only see the mother article in their feed. If an article is copied to multiple channels, so multiple child articles exist, and a user is not subscribed to the channel holding the mother article, then the oldest child article that would be presented to this user would be visible. So, if the Internet Security article would be copied to a third channel, Harold would still only see the mother article in his feed. In the event that Harold would unsubscribe himself from the IT channel, that holds the mother article, he would then only see the oldest child article in his feed, which is the one in the Sales channel, because Nicole copied the article first. By filtering out the duplicates we can guarantee that the Shadow Copy feature can be used without limit, bringing news articles to new audiences and not polluting the feeds of people who already had access to the article. And by only showing the oldest article a user is subscribed to, we make sure that every user sees the article when it has the most news value for them. Customers using the <link to sticky news>Sticky news feature</link to sticky news> feature need not fret as the deduplication feature of Shadow copy means that Harold will only see one of the sticky articles if the sticky article was the one copied by Nicole. Are you interested in adding the Shadow Copy feature to your Attini Comms installation? Than feel free to contact us by sending an email to attini@rapidcircle.com. We will be happy to run you through all the details and get you started! Do you want to give your company news an additional boost in reaching all the colleagues, please make sure you check out the Sticky News feature we just released. I’ve created my custom content types in my dev tenant. Now I want to migrate the changes to production? How can I update an internal name of a field with a content type and ensure that the changes are reflected everywhere? Actions like these were (and still are) generally avoided because there’s be no good way of accomplishing them. It’s still very good practice to thoroughly prepare and review what’s needed before creating custom content types. Making changes to these artefacts still requires effort especially when there is content that is already using these artefacts. Fortunately, the ability to manage existing content types has gotten easier. Thanks to the efforts in the Microsoft Patterns & Practices (PnP) community. Where the space is replaced with a hexadecimal “_x0020_”. This is not a critical issue, however can be avoided and corrected. This was a simple demonstration of the scripting tools available to manage site artefacts change that previously were difficult or impossible to update. Using this same technique, with a bit more preparation you can also extract a set of custom content types for one tenant and apply them to another. Thereby keeping field names, content types and their internal GUIDs all intact! Migrating an on premise email infrastructure to Office 365 is pretty straightforward; whether you have Exchange 2003 (even! ), 2007, 2010 or 2013, lots of documentation and migration scenarios are available on the Web to make it a successful migration project. After popping the champagne when the first mailboxes moved successfully, the first complaints reach the service desk: the (Outlook) performance is getting slower and slower. What went wrong? Did we not follow all the procedures in the “Deployment Guides”? The slow performance is probably related to Network Connectivity. But how can we solve this? The answer is not simple; it contains several important steps to optimize the network performance. To use a high bandwidth link efficiently, the connection must be filled with as much data as possible as quickly as possible. With a TCP Window Size limited to 64k when Window Scaling is disabled, not all the available bandwidth is used. Increasing the Window Size beyond 64k, the sending machine can push more data onto the network before having to stop and wait for an acknowledgement from the receiver. Check this setting on your network perimeter devices. Network Perimeter Devices (like firewalls) are normally designed for internet access to Web Pages. This means TCP Sessions were not expected to be idle for a long time. If there were any idle TCP Sessions, the firewall simply closed them. Users were not affected by this using web pages only, but now the situation is different: we’re using Outlook to connect to our Office 365 Mailbox. Outlook leaves TCP Sessions open for a period of time (as long as Outlook is open) and when the firewall kills the “idle” TCP connection, Outlook hangs, causes disconnect pop-ups or even prompts the user for a password. Solving this problem, make sure the perimeter devices are configured consistently; keep the SSL/TCP idle Session Timeouts for “normal” traffic around 2-3 minutes, but create a separate group for Office 365 traffic and make sure the timeout for this group is higher than 2 hours (as Windows will send a keep alive by default after 2 hours). Latency is the time it takes for content to get from a server or service to your device and is measure in milliseconds. Faster is better. It can be caused by a number of factors, like low bandwidth, a sparse connection or transmission time. Outlook connects to a Client Access Server in Exchange Online which redirects your request to the server where your mailbox is located. These datacenters are on high speed backbones, but you have to make sure your connection is taking the traffic as fast as possible to that datacenters with as low latency as possible at your site. To ensure your Office 365 connections complete quickly is to check proxy authentication is completing quickly. Better is not to use a proxy at all! Rule must apply to all users. If name resolution takes time, it results in a poorly performing Office 365 Infrastructure. Make sure your DNS servers are in the same region; for example, if you use “8.8.8.8” as your (external) DNS server, you might get the “wrong” result. Your request is pointed at the US servers first, which causes delays in the connection to the servers in your region. Maximum Segment Size is a TCP level value which is the largest segment which can be sent on the link minus the headers. To obtain this value, take the IP level Maximum Transmission Unit (MTU) and subtract the IP and header size. A standard Ethernet Connection uses a packet size of 1500 bytes leaving us with an MSS of 1460 bytes. Ensure your TCP packets are able to contain the maximum amount of data possible. Low values will affect network performance. TCP is a reliable protocol which ensure delivery of all data. It does this by the ACK’s indicating it’s received up to a certain point in the data stream. With SACK enabled, we’re able to tell the sender we’re missing a packet and which packets we already got. The sender can just retransmit the missing packet without sending the successive packets. This greatly increases the efficiency of the TCP protocol (it is enable by default in Windows). Check you network devices whether it is enabled or not. Optimizing Network Connectivity is highly recommended to ensure to fully utilize the available network bandwidth and have the best performance possible for network traffic. If any of those resources are performing badly then the end customer is likely to experience poor performance. 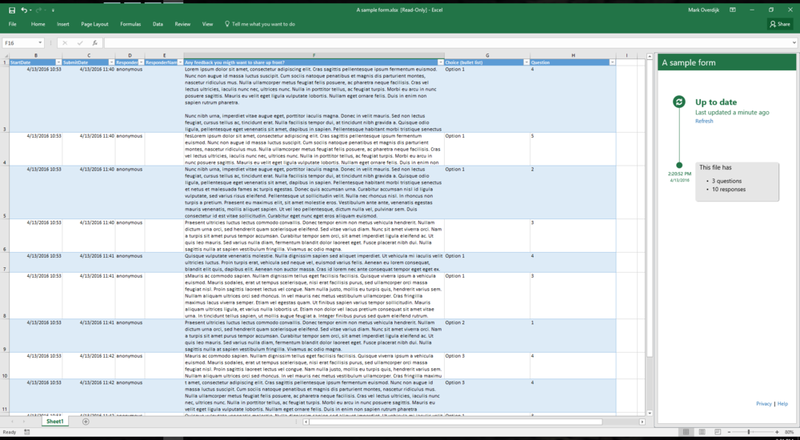 By eliminating the above described topics in a random order, you'll ensure you are providing the best possible Office 365 experience for your users. It is not a very fresh recent news anymore, but still we'd like to dive into some more details about why the acquisition of the company Xamarin earlier this year by Microsoft is advantageous and exciting for us and our clients. Who is Xamarin? What do they do? Xamarin is a young company, about three years old but growing very fast, which its primary business is to create tools to let developers build native desktop and mobile applications for non-Microsoft platform by using Microsoft modern tools and languages as Visual Studio and C#. With the increased popularity and adoption of mobile devices and mobile apps, obviously a pure Microsoft developer is in trouble having to build a native mobile application for either iOS, Android or both platforms. Any of these would require not only knowing the specifics of each different system well, but also adopting different toolsets and languages for each platform to support. Furthermore, this type of development is in contrast with modern methodologies which help delivering custom Apps in shorter time, to be more reliable, and with possible more frequent updates and upgrades. Having to manage a single team of developers and make use of one unique toolset, fully supported and evolved, is a huge advantage in developing a cross-platform mobile application, and for sure Xamarin's strong point. Why the acquisition has been positive? Xamarin used to be a commercially licensed product, with yearly subscription licenses to be acquired for developers. Especially for this reasons, and despite what you would think if you go read about the history behind Xamarin (started in reality about 15 years ago with Mono project), it was indeed a pretty closed source and commercial product. During this year's MS Build Developers Conference, the partnership has been publicly announced, together with some revision on the licensing model of Xamarin, opening it to wider audience, and publication of most Xamarin's source code on GitHub. This has generated a big increase indeed in the interest and adoption of Xamarin widely. Finally, the merge can be of course only advantageous to get Xamarin's tools still better and better integrated with the rest of MS development tools. Are there alternatives? Is it the best? In cross-platform mobile development, so when having to create a mobile application for multiple mobile OS, two main 'worlds' exist: native Apps vs. hybrid Apps. Native apps, as the name suggests, run native on the platform where they're running on, getting the best of performance and possibility to make use of all specific platform capabilities. In many cases it's very hard to notice with type has been chosen when using an App we have downloaded or obtained in other ways, and many apps have been recently changed from hybrid to native (don't know any that has done the opposite path) without the users can notice because interface and experience remained pretty the same. As mentioned earlier native apps are anyway in general more performant, even if harder to create with a single toolset, where Xamarin is for sure leading and few other minor competitors. Can Rapid Circle help my business creating a mobile app with Xamarin? Absolutely. We've been developing custom mobile apps for our clients using Xamarin since 2014, and since then Rapid Circle is as well an authorized Xamarin Consulting Partner. The Apps we've been developing normally connects with LoB or Azure environments, having the possibility to fully work in case of lack of intermittent network connectivity, or other such features based on customer's needs; but they'll always run native! We'd love to hear your feedback on them. What to say more… I am myself also a Xamarin Certified Mobile Developer for the second year now. This certification can be obtained by subscribing to Xamarin University and passing needed exams. As last (but not least), one of our former colleagues in India, software engineer, is now working as engineer at Xamarin, or better to say Microsoft. We have then proven experience if you need to build a custom mobile application, and we can respond to all your question or needs about Xamarin apps, Xamarin Forms, Xamarin Test Cloud, Application Insights, HockeyApp, and more..
Wouldn’t it be interesting to measure certain ‘online behavior’ that says something about work style, culture, effectiveness and collaboration within an organisation? In order to visualize this weve developed a tool that 1) offers our customers a tool to make (the progress of) change management tangible and 2) demonstrates the added value (ROI) of ICT innovations (like an Office 365 platform). We developed this tool - Organisational Pulse - especially for bigger organisations, but we were also very curious to take the temperature of our own organisation! Despite the fact that we, as a relatively small organisation (with 90 employees), already had a pretty clear image of the way we collaborate and do our jobs, it gave us some interesting and useful insights. We’d like to share these insights with you in this blog. We also summarized these insights in a infographic. Click HERE for the infographic with our measurements and interpretation. We can measure the behavior of employees with Organisation Pulse in a way that wasn’t possible before. For example: how often do employees copy their manager in an email, how many recurring meetings does someone have and how often do they send emails during those meetings, how many people on average are added to the ‘To’, ‘Cc’ and ‘Bcc’, and so much more. These are just a few examples of data that can tell a lot about the work style and culture in an organisation. If you want to change these, this tool is your guide to keep track of your progress. At Rapid Circle we only add our direct manager as a recipient to only 3% of the emails we send. You could cautiously conclude that we do not try to justify our selves as much, or as you could also say it, we don’t try to ‘cover our asses’. We do see that one of our ‘departments’ copies the manager much more in emails than other departments. Furthermore, we see that with an average of 2,4 recipients added per mail, we don’t have the need to email a lot of people at the same time. We hardly ever use of the Cc or Bcc function. Based on this we could assume that the political pressure in our organisation is very low. We don’t see the added value of copying a lot of colleagues in emails. It doesn’t take much time to add people to an email, but think of the relevance and efficiency if it takes every recipient three minutes to read it. We think this is the most polluting behavior there is in bigger organisations. On average we spend 2.76 (of the 40) hours per week at Rapid Circle on structural (mostly weekly) meetings. We also spend 1.47 hours per week on average on non-structural, but planned, meetings. In total, we only spend 4.23 hours per week on meetings. These numbers prove Rapid Circle doesn’t have a culture in which meetings hold a prominent place. We expect that for many of our customers these statistics will reveal a lot of interesting, but also confronting information. What will they do with it? To answer this question, we’ll have to wait until this data is available. However, it will be in any way very interesting to dig into for organisation specialists. There is a lot of cross-silo collaboration within Rapid Circle. We already expected this, because we don’t really have ‘departments’, but instead we have competence groups and a flat organisation. For this analysis we sorted all our employees based on competence, mark that our (project)teams are mainly multidisciplinary. In this regard, it’s logical that we score 65% on cross-silo collaboration. This means that 65% of all the documents we share, emails we send and meetings we have, are all shared with colleagues outside of our ‘department’. Also, our usage of Skype for Business is very high. Interesting, but also very logical, because worldwide we have three offices (Pune (India), Melbourne and Amsterdam) and our work is not dependent on a location; we work a lot from home, at customers and on the road. Rapid Circle is a customer oriented organisation. Almost everything we do, like our support, projects, adoption and workshops, we do for our customers. You would expect that more than 50% of our emails are send to at least one external recipient. It appears to be only 48%. Are we too internally focussed? We should investigate that more. On the other hand, if I compare this with the statistics from our customers, 48% is pretty high. Can we conclude that in big organisations in the Netherlands, we just keep each other busy? As said before, we don’t spend a lot of time in recurring meetings. This seems to reveal a certain level of effectiveness. during only 14% of all of our meetings one or more email was sent by one or more people present (or should be present) in that meeting. This also tells us something about our effectiveness. We seem to be focused on the ongoing meeting, instead of other things. Also interesting are the costs of reading emails. What does this really cost us? We measure this based on the amount of characters in the text (excluding the text upon which an answer is sent), times a constant that indicates how long someone needs to read a X amount of characters, times the amount of recipients. After this, we add up all the emails (per month) and multiply the result with €35,- per hour. At Rapid Circle this sums up, with 90 employees, to an amount of €50.860,- per month. Via a different formula we end up with a allocation of approximately 45 minutes per day per person, if everybody reads all of their emails. In our information-intensive organisation, that’s not much. Besides, added up we send 23.000 emails per month. It is our experience that this number is much higher at large organisations. We have seen organisations who receive more than 4 hours worth of emails per day. At Rapid Circle, trust and responsibility are important values. We don’t impose working hours and people can work wherever they want. This might lead to the expectation that people work in the weekends as well. However, only 2% of all our emails are sent during the weekend. That’s not much. As an owner of the company you could perceive this in two ways. I choose to interpret it as follows: we do a very good job, because you can see that people can manage their work just fine during the week. What’s also interesting are the numbers that indicate what guides our people in their daily work. Are they guided by their inbox or by their own priorities? On average, at Rapid Circle, people are busy sending emails almost 10 quarters a day. During an 8-hour working day, that could be 32. It seems to be that we do not let our inbox guide our workday. Again, we score lower than other organisations, but it is still 10 quarters on average. If you compare that to the amount of emails we receive and how little meetings we have, it is more than that I hoped for. And again the question is, what do you want to do about it? Delve Analytics, a tool developed to have more insight in your own work style, might be a solution for us. If we cumulate the big data numbers and the individual statistics from Delve employees can become more aware of an effective work style. This only works if we explain it right and if the management team gives the right example though. At Rapid Circle, magement could do better though, because on a daily basis we check our inbox during 26 quarters of the 32 per day. That means that from just about the moment we get up in the morning till the moment we go to bed, we send an email almost every 15 minutes. I find that shocking. Or is it okay for us? I’d like to hear other people’s opinion. Moreover, the same statistics indicate that the support team is led by their inbox only 8 quarters per day. Apparently they use other (the right?) tools for messaging within our support system. Furthermore, we can measure a lot more little things. Things that don’t necessarily say something about work style in general, but about certain behaviors that can be influenced. For example, we only share 17% of the information we share via the cloud (from OneDrive or SharePoint or with a link to the document). So, we still send a lot of attachments via email. We should be ashamed of ourselves as a Microsoft Cloud partner. Okay, we already do a lot better than other organisations, but this number must increase. How? At least by management giving the right example, because, shame on us, that group just scores a sad 8%. The technical team does already way better, with 45% of the attachments sent through the cloud. The statistics displayed here are only a small part of all the statistics we can generate. These other statistics can offer even more insight in culture, usage, costs and added value. For example, the value of knowledge, of documents, which departments are contributing the most to the (re)use of knowledge, to meetings starting and ending late or on time. Every organisation will interpret and use the statistics in a different way. We also see that what one organisation finds interesting might not be interesting or can even be seen as the pointer of progression of change for another. The dashboard will be different for everybody. Luckily our application is like a Big Data Analytics tool. We can create new charts real quick via Power BI. The conclusion I draw regarding our own statistics is that on the one hand Organisational Pulse has the most value for especially bigger organisations. On the other hand, these numbers provided a couple interesting insights. For example, the statistics about the usage of cloud services. We use all the functionalities, but not always to the max. What does that tell us about adoption roadmaps at our customers? Changing behavior is really hard. We’re also going to act on setting an example as the leadership team, including myself. The purpose of applying this tool to our own organisation was mainly to give us a better feeling about how to interpret the data. We can also state that creating a benchmark with more data from customers will be very interesting. This way we can measure how organisations do, compared to the average of a few other (big) organisations. Would you like to know more? Read more, download the infographic or contact Wilco Turnhout. More and more we are becoming a generation of searchers. And that is not meant in a philosophical, running your fingers through your beard kind of way, but in a very practical everyday reality kind of way. When was the last time an argument you had among friends was not settled by searching the internet for the right answer? And this trend is not just influencing your personal life, but your work life as well. A clear shift is happening within corporations to go to a flatter organization structure, have self-organizing teams and increased cross functional interaction. We are trading in hierarchies for communities. Heck, there are even companies that let their employees pick their own job titles. In this world of less structure one thing becomes more and more important to still be able to do your work: search! However, making sure stuff is available to be found within SharePoint Online is not always straightforward. Our colleagues Marijke Ursem and Martin Offringa wrote a blog (read it here) about the workings of search in SharePoint and how to make sure the search results are shown just how you like it. So we will not cover any of that here. Instead we will dive into the bag of tricks we have to make sure that content is searchable as quickly as possible. For those of you who are new to the subject of search in SharePoint, let us quickly cover some of the basics. The search results you see in the content search web part or the search results web part are not coming directly from your lists and libraries, but from the search index. The index can be considered as one big bucket with all the searchable content and only stuff that is in the index can found through search. Based on an automated schedule the index is filled with the latest changes that occurred in your tenant. This is done by the crawl, and in SharePoint Online there are two variants of the crawl: 1) the continuous crawl that runs every 15 minutes and picks up new and changed documents or items and 2) the incremental crawl that runs every 4 hours and picks up changes in the search configuration. Schematic to show how the content a tenant, the crawl and the index relate to each other. One of the most heard complaints about search in SharePoint Online related to search is that even with the highest of permission levels on your tenant, you are still not fully in control of the crawl. This is because, in contrast with an On Premise situation, the automated schedule cannot be changed. In SharePoint Online, it is Microsoft who runs the show. But there is no use in complaining, because at the moment there is no option to speed up the crawls. So if you can’t beat them, join them. Because there are some tricks that help you to go as fast as possible when it comes to having your changes crawled in SharePoint Online. First, a document which has no published version will not be crawled. So when you are working inside a document library that has minor (concepts) and major (publications) versioning activated, make sure to publish your documents. Second, when you add a column to a list of library it will not be crawled if there is no item that has a value for that column. So make sure that at least one item contains a value for this new column, even if that means adding a temporary test item. Maybe the best analogy for the scheduled crawls is to view them as an old fashioned postman, who is doing his rounds on a fixed schedule. And on his round he comes by a series of classic postboxes with the little red flags on them. The classic postbox works by raising the flag when there is something in it and leaving it down when it is empty. And let’s decide that in this analogy raising the flag is a signal to the postman doing his rounds to empty the postbox. Furthermore, it is important to know that the crawl acts on value changed. So in our analogy, value changes raise the flag automatically and indicate to our postman to pick up the changes. So if you have a document and you change for example the person mentioned in the “owner” field then this change will automatically be picked up by our postman. However, when you change the way the owner needs to be presented from “account name” to “display name with presence” this change will not automatically raise the flag since no value change occurred. Only a setting change was done. To make sure your change is picked up anyhow, you can raise the flag yourself via the library settings, which is described in a support article of Microsoft. The same article also describes how to raise the flag for a whole site and since Microsoft already did an excellent job of explaining how it is done, we have nothing to add to their story. When we leave the libraries and list behind us and start getting our hands dirty within the search center of SharePoint Online there are also some tricks we can pull out of our top hat. Within the Search Schema we can have a ball setting up managed properties and mapping all sorts of crawled properties to our managed properties. For those of you who are new to the Search Schema, crawled properties and managed properties and want to learn more about the topic, we recommend to give the support article Manage the search schema in SharePoint Online a good read. While you can do a lot of nice and necessary work inside the Search Schema, you will have to do something extra to make sure your changes have effect. The reasoning behind this is that “…Because your changes are made in the search schema, and not to the actual site, the crawler will not automatically re-index the site”. What you need to do is re-index the site which uses the crawled property that you have used in your managed property mapping and then “…site content will be re-crawled and re-indexed so that you can start using the managed properties in queries, query rules and display templates”. Or if the crawled property is only attached to a certain library or list, you can re-index that list which will have the effect that “…all of the content in that library or list is marked as changed, and the content is picked up during the next scheduled crawl and re-indexed”. So for sites, lists and libraries we have the power to raise the flag and our postman (a.k.a. crawl) will pick up our changes and update them in the index so they are seen in search results. At this point your question will undoubtedly be what else you can do to give the crawl a kick, because going into every site that you want to raise the flag for one by one is just too much of a hassle. Well unfortunately, this raising the flag thing is the only instrument we have in the wen interface. Because as said, there is no way to influence the schedule, only ways to influence what is picked up during the next round of our postman. But rest assured, we are not suggesting that you actually go into every site that you have and click a button. We are suggestion that you put others to work for you. The first option you have is to put Microsoft to work for you. Via the Admin Center you can raise a ticket to Microsoft technical support and ask them to re-index a bunch of sites, a site collection or even all your site collections. It is also possible to request a re-index of all the user profiles. What Microsoft Technical Support then will do is raise the flag for all your content so that everything gets picked up during the next round of the postman. Upside is that Microsoft can do this much more efficient, but the downside is that you still have to wait for the next incremental crawl. And of course, there is waiting involved between raising the ticket and getting a response from Microsoft. So, where do we have to turn to get even faster results? This is really not a question of who, but a question of what. Because the answer lies in PowerShell. For those of you who want to learn more about Windows PowerShell, this TechNet article is a nice place to start. With PowerShell we can fire off commands to our SharePoint tenant and, just to name an example, can raise the flag on a bunch of sites. So this puts you back into control and releaves you from waiting on Tech Support to pick up your ticket. Plus, you won’t have to do much scripting, because others have already done it for you. Two scripts that are particularly handy come from Mikael Svenson (https://twitter.com/mikaelsvenson). The second script allows you to raise the flag for all the user profiles in your tenant. A user profile is just another content record and for it to be picked up by the crawl it needs a value change. 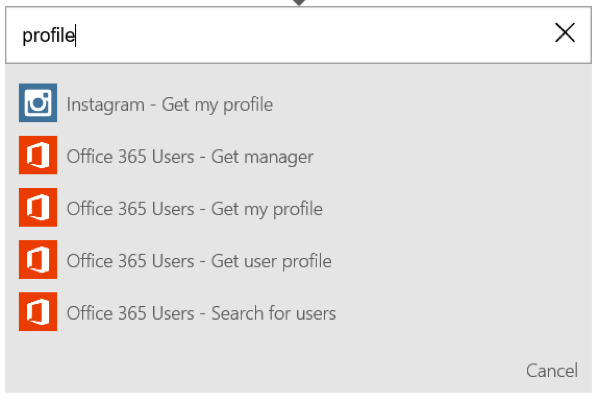 So when you start changing user profile properties it would require a user to change something about their profile before the change is picked up. And since users do not necessarily change their profile’s very often, it might take a while before your change has reached all users. So this script is a major help in activating your change for all profiles in your tenant. Also because there is no way to raise the flag manually on a profile other than to apply a value change to that profile. And actually, this is also what the script of Mikael does. On every profile it overwrites a property value with the same value, which in the eyes of SharePoint is a value change and thus all the profiles are picked up by the next incremental crawl. When working with search in SharePoint Online you have to deal with the fact that you cannot influence the crawl schedule. Just put it out of your mind and try to accept it. What you can do is make sure that all the changes that your made are picked up as soon as possible by the continuous and incremental crawls that pass by your tenant. Or, to put it in terms of our analogy, making sure that the postman is picking up your message on his very next round. A lot of the items discussed in this blog have been created, communicated or distributed by others as first. We certainly want to put credit where credit is due, so we tried to do our absolute best to always show the source or inventor of the trick where this was possible. Also, the scripts mentioned in this blog should only be used and deployed by people who understand what they are doing. Never let code loose on your tenant that you do not understand yourself. This warning has nothing to do with PowerShell or these scripts in particular, but is just part of good sensible ownership for any admin. 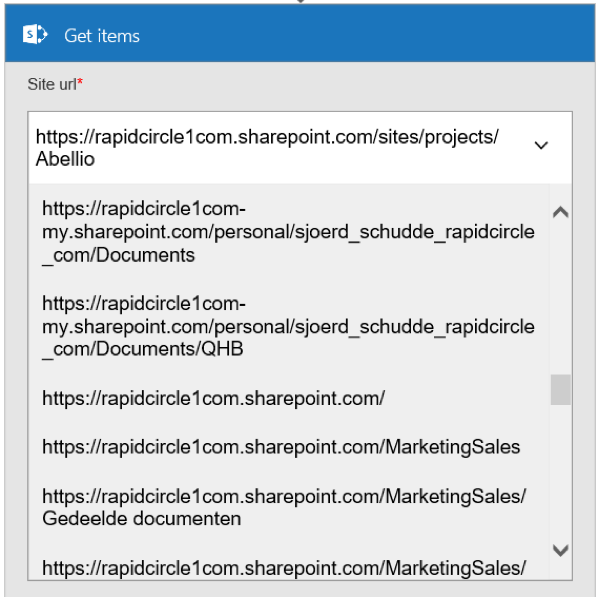 If needed Rapid Circle can help you understand and safely deploy these scripts on your tenant and help you save time in configuring search for your SharePoint Online environment. Microsoft Forms was formaly introduced via an Office Blog post "Microsoft Forms—a new formative assessment and survey tool in Office 365 Education" and in preview since April 2016 for Office 365 Education subscribers. It allows users to create quizzes, questionnaires, assessments and subscription forms. Microsoft aims to deliver an easy and fast solution for teachers to create assesments, which can filled out via all types of browsers on all types of devices. Don't let the simple interface fool you,you do have powerfull options available, such as validation, notification and export to Excel. If you are anything like me, your first reaction when hearing that there is something new called Microsoft Forms will most likely to be: “Finally, the replacement product for InfoPath has arrived!”. Well, it has not. Microsoft Forms does not come close to the full suite of options we know from InfoPath. And more importantly, there are no signs whatsoever from Microsoft that it is supposed to replace InfoPath in the future. For that we have to look at Microsoft PowerApps. Microsoft Forms is a product to create assessments, quizes, surveys, etc. Let's show the power of the product by building a little quiz. Let's jump in the product and create a Pop quiz! It'll show off what the poduct is really good at; creating a questionnaire. So let’s find out what it can do and take a closer look to this new addition in the Office 365 family. First off, Microsoft Forms is a legit product within the Office 365 suite for education licensed users and therefore you start it, like any other product in the suite, from your app launcher. When you click the new button you a Form builder is loaded which allows you to enter a title, an introduction text and start adding questions. There are five types of questions that can be added to a Microsoft From. First, we have the “choice” type which allows you to define a question and list a set of options that can be the answer. Unique to this the “choice” type is that you can use the “other” option if you want to provide a way for your form users to answer outside of the given options. This type of question is typically used for general information questions where there is no wrong answer like: “how did you find out this quiz?”. Second, there is the “quiz” type which also works with defined answer options. Unique to this type is that there is actually a correct answer which can be set. Also you can provide feedback for each option to explain why an answer is correct or incorrect. The “quiz” type question is really the one that gives Microsoft Forms its educational flavor, because this is used to verify knowledge instead of gathering information. Third, the “text” type for which the answer is given in a text box. Unique to this type is that there is an option to allow for a long answer, which gives the person taking the quiz a bigger textbox for the answer. Fourth, we have the “rating” type which allows you to answer using a scale. This scale can be set to stars or numbers and can run from 1 to 5 or from 1 to 10. The “rating” question is often used in questionnaire to gather information about how the test subject agrees or disagrees with certain statements. Fifth and last, there is the “date” type question for which the answer is given by selecting a date from the calendar. A date type answer is often seen in subscription or application forms or in questionnaires to ask about someone birthday for example. However, with a little creativity you can work this type of question into a quiz if the answer is a date (perfect for history exams) with is question like: “What was the founding date of Rapid Circle”. For each of the five types of questions you can indicate if a question is required or optional. This is almost common practice with any type of question tool, but since it is such a powerful way to ensure data completeness I did not want to let this go unmentioned. Also, for all types of questions you have the option to add subtitle. This could be used for providing a hint about the answer or giving guidance about how to answer the question. “Choice” and “quiz” type question can be turned from single answer questions into multiple answer questions with a flick of a switch. However, the way that Microsoft Forms is letting the user know that multiple answers are possible is very subtle. For single answer questions the option selection boxes are round and for multiple answer questions the option selection boxes are square. So when making a multiple answers question, I would definitely recommend putting something like “(multiple answers possible)” into the question. Otherwise you well surely get complaints from your quiz takers. Also for “choice” and “quiz” type of questions you can select the setting to shuffle the options. This will present the answers in a different order every time the quiz is loaded, which has several advantages. One, and I know you are thinking the same, it makes it harder to cheat. Two, when looking beyond the possible bad behavior of quiz takers, there has been a lot of research on how the order in which options are presented influences the option that is most likely to be chosen by quiz takers or the most likely to be correct. So if you as a quiz creator want to remove this bias, shuffling the answers is a nice option that helps you. For the “text” type question, it is possible to provide restrictions. For example that the answer should be a number (nice for math problems) or that the answer should be between two values. All the restriction options are number based restrictions, so they actually help you to turn the “text” type question into a sixth type of question, namely the “number” type. For the form as whole there are also some additional settings that can be turned on or off. For example, you can choose if you want to apply a deadline or if you want to shuffle the questions. When you are done creating the quiz there are several ways to send out word about your newly created quiz. Obviously you can share the link by copying and pasting it to a certain location or email the link. But next to that, Microsoft shows a nice realization of their mobile first strategy by allowing you to create a QR code for your quiz so people can scan it with their smartphone. Of course we did a test among colleagues, and it worked liked a charm. This function is especially interesting when promoting a training or event for which users need to subscribe. On the poster or flyer you can easily include the QR code so people walking by can scan it and immediately subscribe. The last way to offer your quiz to users is by embedding it onto a webpage. This could be a SharePoint page, but any other webpage will do as well. When spreading the word about your quiz, questionnaire or subscription form you can still control who can fill it. While the options are not very extensive (to say the least) the most important choice is available, which is to allow people outside your organization to fill out the form. When someone fills out you Microsoft Form they get a piece of feedback after submitting. Next to the standard messages that thank the user for submitting and verifying that the form was submitted successfully, extra feedback is given when “quiz” type questions are incorporated in your form. First, as discussed, a “quiz” type question offers the option to provide a comment per answer option which is shown after submitting the form. Second, in the advanced settings you can determine if the user should see the correct answer for a “quiz” type question after submitting. And Third, a user score is calculated based on the amount of “quiz” type questions they have answered correctly. This last one is a bit tricky because it only looks at the “quiz” type questions in the form. So if you have a form with 8 questions and 4 of them are “quiz” type question, then the maximum score a person can get based on the feedback is 4 out of 4. From a technology point of view it makes sense, because for the “choice”, “text”, “rating” and “date” type questions you cannot indicated what the correct answer is so it just ignores those questions. But from a user experience it is pretty weird if you just answered 8 questions and you see that your score is 3 out of 4. And since there is no option to switch off this feedback about the user’s score, this definitely takes some communication effort to avoid confusion or complaint. So I would advise you to add a note covering this in the description text at the top of the form. If you did a good job building and sharing your Microsoft Form, you will have plenty of responses in no time, which are automatically analyzed for you in the responses section of your form. Here you will find some statistics about the form as a whole and more detailed statistics about each individual question. I have to say that the automatic statistics that are generated are quite good and cover the basic requirements around insight in your responses. But before we go into detail, I would like to point you to the “Open in Excel” button at the top right hand side which will allow to completely go berserk in analyzing the responses in your own way. For “choice” and “quiz” type questions the responses are presented in a table like fashion as well as a chart. For “text” and “date” type questions the number of responses are presented along with the last three responses. And for “rating” type questions the number of responses is shown together with the average rating. And for each question you have to option to click the “Details” button which shows all the responses for that particular question in a dialog box. Microsoft Forms is a very complete quiz tool that will help you to create quizzes, questionnaires and simple subscription forms in a quick and easy way. Especially for a product which still is in Preview, I have to say that this first version already covers a lot of requirements. However, there are two major points of critique when looking at Microsoft Forms. First, the name. It is very misleading in the sense that it brings high expectations to anyone who knows about the fact that InfoPath will be leaving us in the future. Because if you review Microsoft Forms Preview from the perspective of it replacing InfoPath, then you will be very disappointed. Second, the audience. Microsoft offers the Preview exclusively to Office 365 education licensed users, while this product can also be very helpful outside the educational realm. Many corporations, government bodies and non-profit organizations could use this product. Creating a quiz for your internal training programs, making a questionnaire for customer satisfaction research or building subscription forms for an event is daily business for any type of organization and therefore the restriction to only offer this product to the educational market seems like a strange strategy. It even feels unfair for non-education licensed users. Logically, there are many many people lobbying to bring Microsoft Forms to all Office 365 users when it becomes Generally Available and I am one of them. So Microsoft Forms shows to be a promising tool for creating quizzes, questionnaires and subscription forms. It covers the basics and in 90 percent of cases will do just fine. But it is not the long awaited replacement of InfoPath, so that remains on the wish list, and will live a life in the shadows of the Office 365 suite if it remains to be solely targeted at education licensed users. How can I get Office Forms Preview? Sign up to gain access to the preview via https://forms.office.com. Unfortunately it's only available right now for Office 365 Education and the US market. If you are outside the US, but do have access to an Office 365 Education tenant. Sign up, but fill out an US address. Will it only be available for Education tenants? At the moment it's only available for Education tenants. Microsoft is exploring all posibilities, but has nothing to share about that as of yet. Will it be available in my region/language? Yes, Microsoft Forms will be launched for all Office 365 Education regions and languages. Is this the Infopath replacement? Is this the final product? It's in preview with no live date set, so you may expect changes. These can be small and/or large. If you'd like you can contribute via the feedback button when you're using Office Forms or post your ideas and upvote others on the Office 365 uservoice (https://office365.uservoice.com/). Is there a Microsoft Support article available? Yes, use your favorite search engine or follow the link: Microsoft Support - What is Microsoft Forms? The preview is available for US right now. Anything I should be aware of when outside the US, but still apply? Yes, as it's running for US only right now, all data is stored in the Microsoft Data Centers in the US. So if you're in Europe for instance, the data entered in Microsoft Forms preview will be stored on US servers. This will be until the product becomes available for your region. Managing the lifecycle of the components you build, deploy, operate and support on Office 365 is difficult. The platform is new, the cloud is new, and much of your classic DTAP model is simply no longer appropriate. We at Rapid Circle are committed, for some time now, as being a Microsoft Cloud company rather than just a SharePoint company and the recent developments around SharePoint announced at the Future of SharePoint event on May 4th continue to vindicate our stance. Node.js & Gulp tasks are used for packaging deploying components. The Local development model is going to be very different. A SharePoint workbench is introduced where Gulp and node.js will used to host files locally, so you don’t need to use IIS on your local machine. Visual Studio Code, an open source code editor is being promoted as the preferred tool. Also clearly indicating that Visual Studio is not a must-have requirement for developers. It's important to note that SPFx not a radically new model. The framework might be new, but we've been doing client-side development for some years now using similar frameworks. Finally though, Microsoft is creating this framework which leverages techniques we already use such as CSOM, REST API's. Taking it a step further Microsoft is openly embracing open source technologies such as node.js, Gulp, Yeoman and more. Using Rapid ALM to evolve our Instant Intranet solution we are also “early adopters" for Visual Studio Code as the default editor for our apps development where we use Angular 1.4, Require JS. Moreover, we utilize NPM and Gulp for building, packaging and deploying our Instant intranet apps. Finally we use Git for source code control & versioning. With this development model, we have successfully created and setup intranet for customers in the first quarter of 2016. This new development model in SharePoint is giving us the platform for Rapid and Instant service to our customers. And we're looking forward to the upcoming SharePoint Framework and will continue to evolve & enhance our own to software development lifecycle! Lots of changes and innovations have been announced at the 'Future of SharePoint' conference last month. We've watched the keynote and found it very interesting. We think you might find this interesting as well. So below, find the full keynote! Full keynote presentation "Future of SharePoint"
Forms? Why should I care? For most people the word “forms” brings to mind bad memories about bureaucratic procedures with lengthy enrollment sheets that require you to enter data that you know for certain you have entered before. I know of these procedures, been forced to go through a whole bunch of them and I too can think of at least one form that made me give up to even start the process it was for. But instead of yelling out “destroy, destroy!” whenever I come across a form I am still a huge fan. The reason for my everlasting love is simple: garbage in is garbage out to any process and forms provide me with the weapon to ensure data quality on the point of entrance. This focus on data quality was taught to me at a very early stage in my career in light of the single source of truth principle along with the master data management mantra: “Create once, validate once, use many”. A line that is among my favorite quotes from the day that I first heard it. But hasn’t InfoPath left the building already? And while Microsoft keeps saying that InfoPath 2013 will be the last version of InfoPath that will be released, I see no immediate reason to move away from a tool that works and will remain to work in your latest on-premises and online environments. To possibly better understand my enthusiasm when it comes to forms, it is probably valuable to share that I am a process minded guy with a strong background in Operational Excellence. And thus I know all too well that a good process does not allow for defects to be created along the way. Because a defect either results in rework or scrap and both are a waste of time. We have all seen form entries which contradict themselves. Sometimes it is an honest mistake and sometimes it is unthinkable stupidity, but it is always annoying. 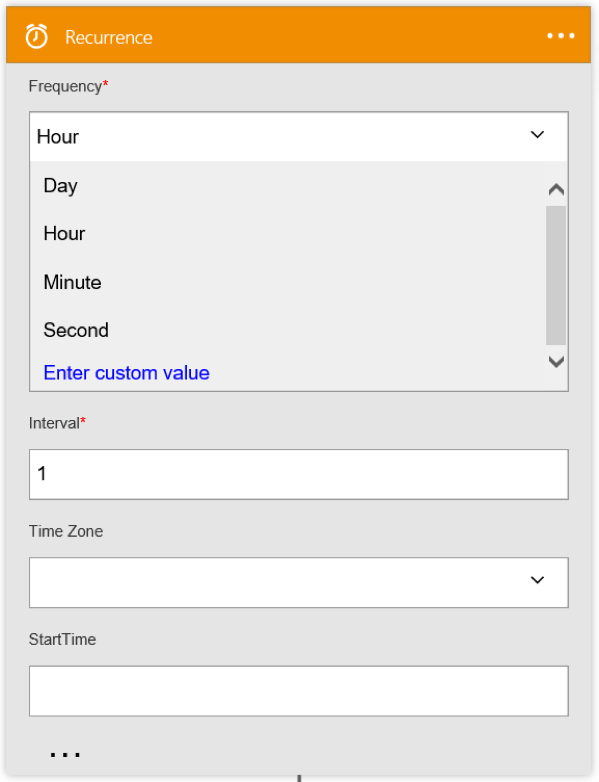 With data validation you can add rules that check if people are making mistakes while entering the form, for example by forcing that the return date of a reservation is later in time than the indicated starting date. And with the ability to include multiple fields in one rule, even the most completed scenarios (if A is higher than B and C is less than D than E cannot be higher that B plus C and not lower than D minus A) can be validated. And let’s face it, we can all name a process that has these kinds of if’s, then’s and but’s. Who hasn’t come across the quote “If you have answered “No” to this question, please continue to question number...”? And off course, it is always nice to be able to skip a question, but wouldn’t it be even better if the questions you do not need to answer are not even asked in the first place? With formatting this is possible, because based on given values you can determine to show a field or even a whole section of fields. So only those questions that need to be asked based on the previous answers will be shown. This also gives the user the feeling that the form is designed especially for him or her, which always wins you sympathy points. One other great way to enhance data quality and reduce effort for your users is being able to query for data. The scenario comes to mind of an ordering form, which always need to contain information about a product and a customer. You know this information is available somewhere in the organization already and probably stored in a very structured manner. So why not tap into this source. By providing the product code in the form you can fire of a query that gets all the additional information about that product that you need. This has two big advantages: 1) as a user, I only need to type in the product code and 2) as an administrator I only have to keep the source list up to date to ensure data quality for every entered product code. As a user, I always like when a form thinks along with me. Take for example the scenario where I have to provide a shipping location by filling out country, city and building. As soon as I have provided the country I would appreciate it when I can then only pick cities that are within that country. And that as soon as I have picked the city, I only get buildings within that city. With cascading dropdowns this is possible and again it is a way to at the same time enhance data quality and provide user comfort. Calculated fields can be of use in two different ways. The first one is obvious because it is right there in the name: to perform a calculation. This can be anything from a simple total order amount calculating based on the quantity and the price to a complex calculation of break-even revenue based on the price, sales per hour, salary per hour, rent per day and overhead cost percentage. 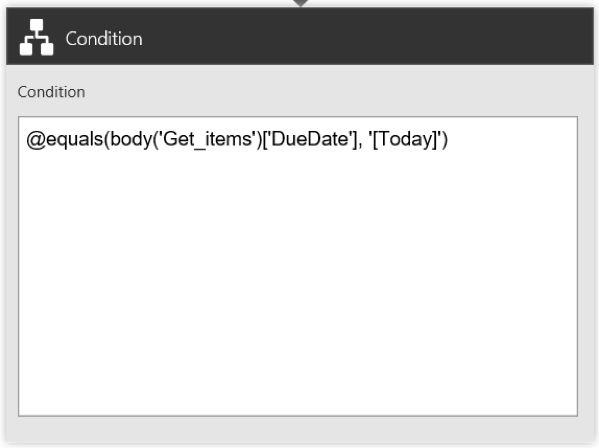 Incorporating any formula into your form again enhances data quality and provides user comfort. The second way that calculated fields can help you in InfoPath is to provide feedback to your user. Take the previous scenario of retrieving data about a product based on the product code. It is not a bad idea to show the user all the information that was gathered based on the entered product code so he or she can check if that is indeed the product information that is needed. However, you also do not want to allow the user to change this info. If there is indeed a fault in the data, then the source needs to be adjusted to solve it for everyone. The nice thing about a calculated field, as you also know from SharePoint lists, is that they cannot be edited. So if we provide the retrieved info in calculated fields, the user gets their feedback and the admin maintain control over the data quality. Again a win-win scenario. 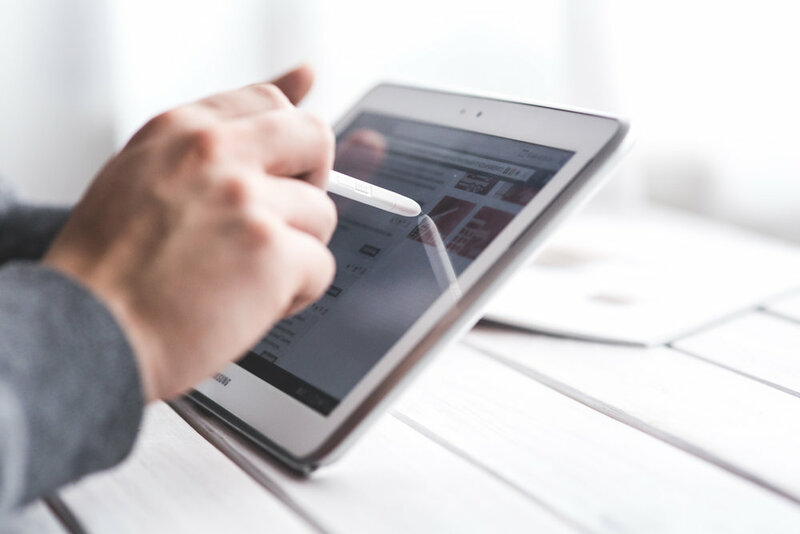 Off course InfoPath is not perfect and there will be limits to what you can do with it, but from my experience the vast majority of business processes can the greatly streamlined by pouring the data entry into smart forms build in InfoPath. And if you come across that process or trick that just isn’t doable to dummy proof it with a good form, then please ask yourself this question before going out and buying something else: “does my process really need to be this complex?”. But that’s the Operational Excellence guy in me talking. One true disadvantage of InfoPath is that it is not included in the standard SharePoint Server offering. You have to go Enterprise to get it and that is a pretty big difference in cost. And while everything has its price tag, you will to sit down and do your homework before acquiring InfoPath from an investment point of view. It will take a cost benefit analysis over multiple areas to weigh of efficiency gains to license costs before you know is the investment of upgrading from a Standard Server license to an Enterprise Server license will pay off. However, the Office 365 environment offers multiple possibilities to go about your licensing in a whole different way that could significantly reduce the total investment needed. Plus, you get the flexibility of scaling up and down in the cloud. Our licensing experts can certainly help you figure out what would be the best plan for your organization with respect to InfoPath licensing. Another often heard critique about forms is that they are ugly and you cannot do a lot in terms of design improvement. While InfoPath certainly is built with function over beauty in mind, there are still many possibilities to enhance the look of your forms. I would put it more like this: if you can manage to create nice excel sheets and word document, you will have the tools to present a good looking form. InfoPath is definitely not out the door yet. As Microsoft promises its users, it will be included in the latest online and on premise offerings for SharePoint and supported throughout 2026. So if you have InfoPath at your fingertips right now, use it! Build those forms and make your processes more robust and fool proof. The investment will pay itself back in the coming decade and the experience you gain from digging into the details of your processes and determining what piece of information is needed when and what is the best source to retrieve it from will be valuable forever. Because you will need to go through the same steps when building your forms in any other tool. On May the 4th 2016 Microsoft held their Future of SharePoint event. It presented all the new stuff which is on it's way for SharePoint and OneDrive (for Business). This post is about a break out session by Microsoft Mechanics, which highlights the new updates on its way for SharePoint in 2016. Scroll down to view the video (18:21 min), but I encourage to first read the summary. Big chances are coming. The first of which, is the update on the document libraries we reported on: New experience SharePoint Online Library. 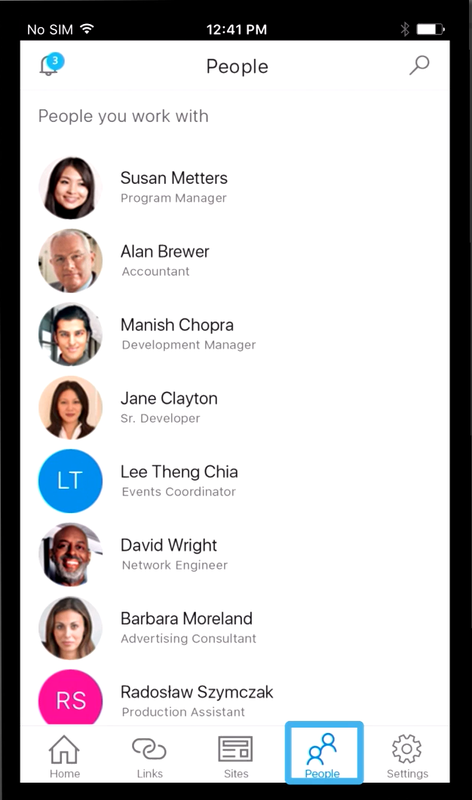 There will be a SharePoint which brings the SharePoint online experience to the mobile phone. It has tabs for Links, Sites and People. All driven by OfficeGraph, Search and Office 365. It's fully responsive and shows the new SharePoint sites (nextgen portals) on your mobile device. Partners should be able to modify the mobile styling to match the client. Below are 4 screenshots of the new app. The sites app in the app launcher has it's name finally restored, it's SharePoint!. With the name update the page will be updated too. The power of OfficeGraph will be added to show an overview of sites used frequently lately but also the some extra info. Everything has been moved around to provide more real estate for the "Frequent" sites. On the left we have the option to create a new site, the Following list to display Followed sites and recently modified. 2. Create site: New interface to create a team or publishing site. 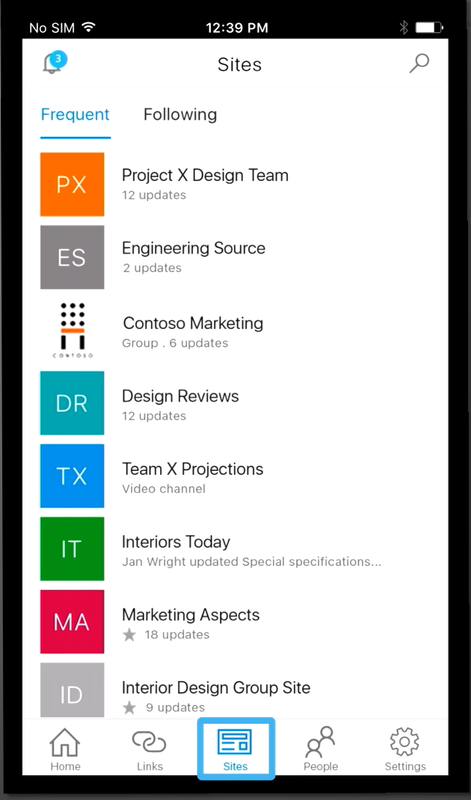 New updates to team and publishing sites will be added to SharePoint Online. These will be fully integrated with Groups and have a new look. Navigation options are still available on the left. The biggest change that's shown is the new page authoring. Well, not really new, but the Sway interface for authoring has been added. Have a look, as it works really well in Sway, it's intuitive for users. As you may notice, adding sections is not only for documents, texts, etc. You can add Power Bi , Office Form, Quick Poll, Power App and other add-ins directly to the page. 1. SharePoint site: New portal. with a linked group, pages slider (news) and activity. Lists will get the same new experience update as the document libraries. Still the option to place list view sections on pages, but the list itself gets a new experience. IFTTT for SharePoint. 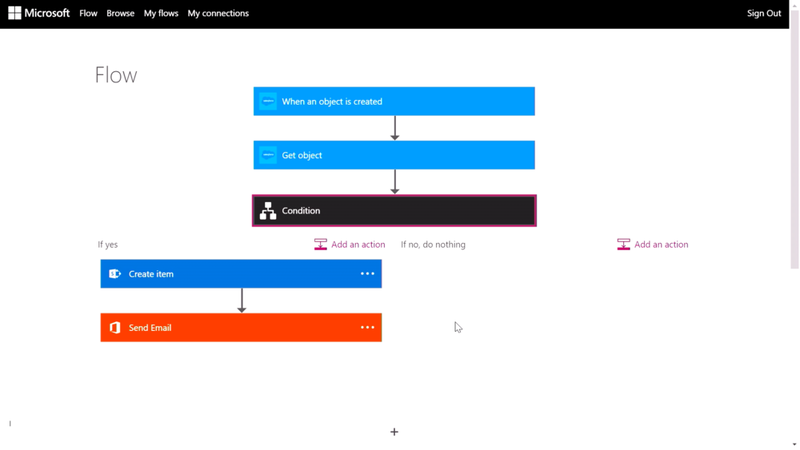 Creating automated workflows for Office 365 and 3rd party web services. This way users can create, through an UI, workflows between your favorite apps and services to get notifications, synchronize files, collect data, and more. We can automate simply tasks. We start with the trigger, like "receive a new e-mail" after which the workflow can configured. For instance adding a condition (if received from user "X") and adding actions (set category to "X", save the attachment to OneDrive for Business and sent a notification via Slack). Micrsoft is pushing update MC44849 which changes the user experience of libraries in SharePoint Online. They've communicated via the Message center and an article on Microsoft Office 365 Support. We've been expecting this update. 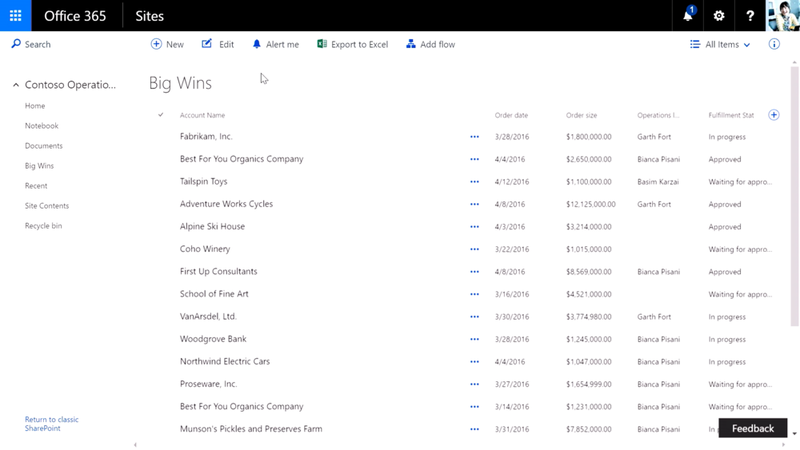 For a while now we've grown fond of the new experience of the OneDrive for Business look & feel. It was to expect that this was the testing ground for the updating all SharePoint libraries to this new experience. That time is now. Has my tenant been updated? There are 2 ways to check whether your tenant has been updated. 1. The new experience setting has been added to the SharePoint Admin Center. Go to your SharePoint Admin Center and choose Settings. If your tenant has been updated, you should now have an extra setting: SharePoint Lists and Libraries experience. 2. When you load a library in SharePoint Online and there's a big notification banner waiting for the user. It tells "Document Libraries are getting a new look!". When this is shown, the update has been deployed. Document Libraries are getting a new look!Document Libraries are getting a new look! View all the changes and new functionality in this short walk through video (3:30min) about the new experience for SharePoint libraries. If an library is displayed, the library is loaded in a screen similar to the default OneDrive for Business style (blue/white). It feels like you've left the (sub)site and are looking at the library in a different app/site. This can be confusing at first for users if they weren't informed of this change. A way to explain this, is by disconnecting the documents "source"(the library) of the site with the list view web part. The list view web part is a window to the source and the user opens the source which is presented in a different way. The functionality of the upload doesn't change, via drag-and-drop or through the menu option, but the ability to upload complete folders and files is new. Microsoft has learned that a lot of users were still using the classic view of OneDrive for Businees, so they could use the "Open in Explorer" function and upload complete folders. So it makes sense they have included this functionality. As said, the library is displayed in it's own environment, almost looking like a separate Office 365 App/Add-in. The top bar/global navigation have been removed, together with the breadcrumb and any custom styling/master page. But the quick launch/current navigation still remain on the left. That is the user's way out/back. With the update comes the possibility for a user to add a link as an item (*.url file). It's now a default item in the "new item" menu. This means an user can add a link to a file/site/etc and place it in the library. This helps in the battle to eliminate duplicate files which can run out of sync. The live preview of a file and the display of a few properties have been moved from the item's context menu to the information pane, which slides out on the right when the "I" (info) icon is clicked. This pane shows the library's properties by default. When a file is selected, it shows the live preview of the file, the properties of the file (which can be edited inline), sharing options, version history and the file properties. Very usefull. The user can now pin files and put them in the spotlight. It's like a featured image or document. If a file is pinned, a banner is added on top where the pinned files are shown as big live preview tiles. Add files there which are favorites, featured and/or important. Have we a lost all navigation? Not quite. The quick launch / current navigation is still present on the left side. That's the ticket back to the site. Further more there is still the Office 365 app launcher. Can the new experience be disabled? Yes. Via the SharePoint Admin Center you can disable this. go to the SharePoint Admin Center en choose Settings (direct link: https://[DOMAIN]-admin.sharepoint.com/_layouts/15/online/TenantSettings.aspx). Look for the sub header "SharePoint Lists and Libraries experience" and choose the "classic experience". This sets all document libraries to classic experience for the whole tenant. Can I prevent the update from deploying on my tenant? No. You could delay updates by switching to a different service model. This will delay the deploy of updates with several months. But this also means that all other updates will be delayed as well. And you might not want to do so. Read more about service models on Technet: Change management for Office 365 clients. Why is the new experience option enabled by default? Microsoft is innovating and wants you to join and make use of new features. This will at least stimulate users to take a look at first, while still giving the option (for now) to revert back to the classic experience. This stimulates usage and makes us think about a strategy on how to implement and communicate the new features. Want to know more? Contact us at Mark.Overdijk@RapidCircle.com or Support@RapidCircle.com.